The vision of the National Consortium of Intelligent Medical Imaging (NCIMI) is to integrate expertise to accelerate the potential impact of AI in enhancing the utility and efficacy of clinical imaging, for patient benefit and for UK plc. Clinical imaging has a significant role to play in the delivery of more personalised care, and at earlier diagnosis to support disease prevention and treatment. The opportunity is performing the right test, in the right manner, on the right patients, with the right interpretation and optimal communication of results. 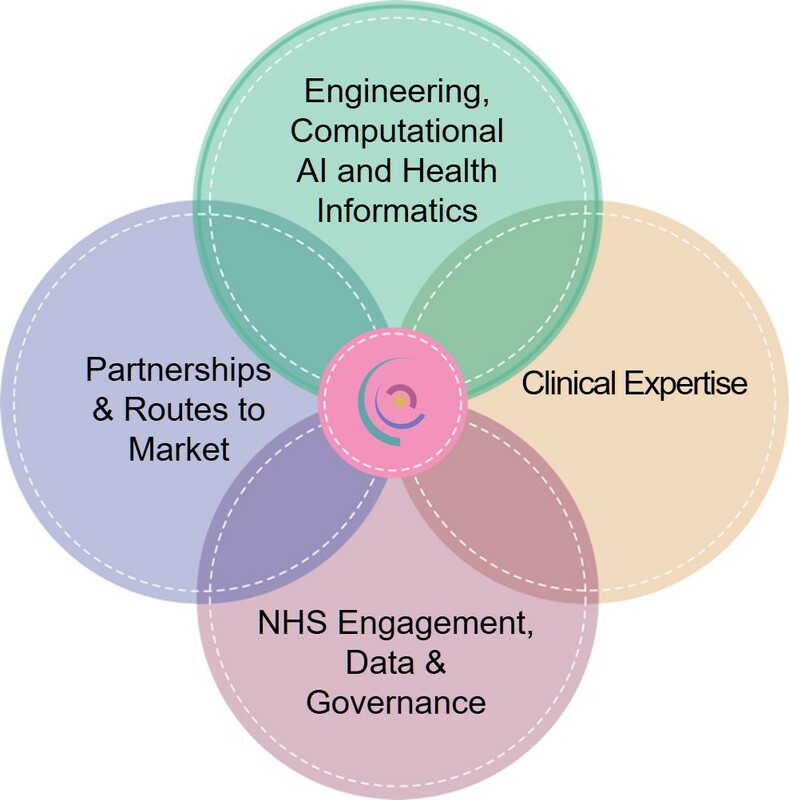 NCIMI brings together the necessary expertise across NHS, academic, industry and patient groups to produce a unique and trusted national resource for developing computer-aided imaging to meet this opportunity. This would be the first time such a multi-stakeholder approach has been taken to clinical imaging and AI; integrating the different viewpoints generates significant patient trust and added value for development, implementation and NHS adoption. The Consortium is led from Oxford University, recognised as the world's best institution for medical research and the best in Europe for both engineering and computer science. Clinical partners include world-leading experts from several parts of the country to address challenging unmet needs in cancer, heart disease and metabolic health (fatty liver disease, infertility, diabetes, inherited metabolic conditions) across the whole NHS. The Consortium has a large base at the Oxford Big Data Institute but is conceived as a national Cloud-connected network, which will build a pipeline for innovation to allow new medical imaging AI tools to be developed, tested, validated and adopted into the NHS.